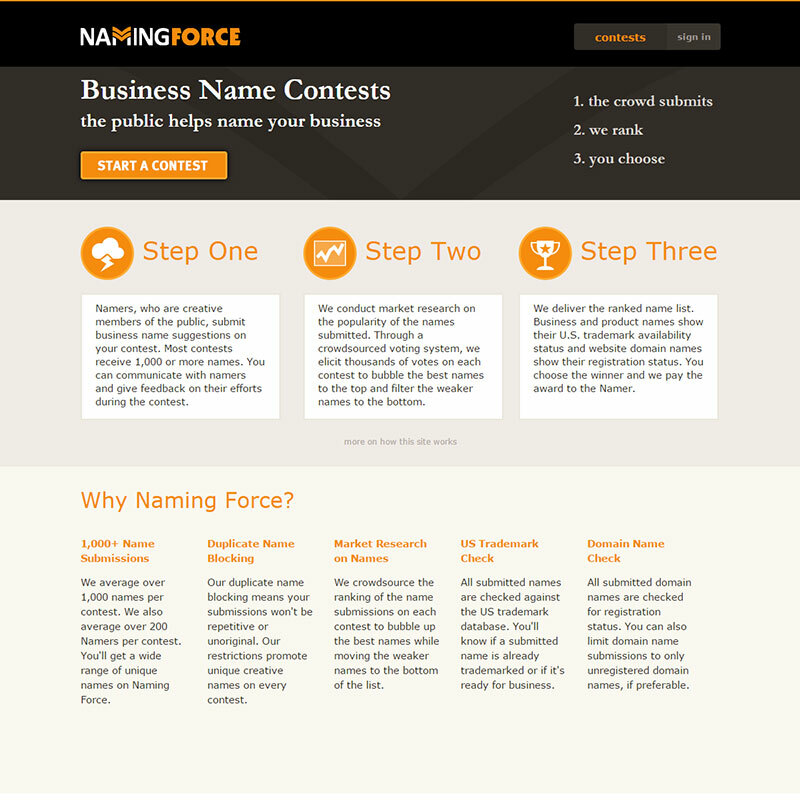 Naming Force (namingforce.com) hosts business and product name contests as well as tagline contests. Naming Force uses the power of crowsourcing to help name businesses. Clients seeking a business name start a contest and members of the public submit name suggestions in competition for the client’s posted award. Namers can win win hundreds of dollars for submitting the best name.